The Wealthy Barber by D. Chilton. What more can you say about a book that has sold over 2 million copies in Canada? You can click on the book to buy it. The Wealthy Barber Returns by. D. Chilton. The Wealthy Barber Returns has a familiar title but the format is anything but. This is not a novel, more like a collection of short stories or opinions from David as he chats to Canadians about money management principles or in some cases lack thereof. Throughout the book, David’s wit shines. 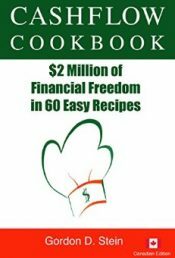 This book is easy-to-read and the financial principles are easy to apply. Just like the original, I think this book should be on the shelves of any Canadian household. You can click on the book to buy it. The Little Book of Common Sense Investing by J. Bogle. A plain, uncomplicated introduction to the truth about the securities industry. John Bogle founded a not-for-profit investing house that now manages many billions of dollars–all in indexed funds–at low cost to the investors. If you want to understand the world of indexing better, buy this book. You can click on the book to buy it. Millionaire Teacher by A. Hallam. The advice Andrew Hallam offers to investors is wise indeed. Don’t get schooled by the financial industry! Instead, take charge of your investmeents. Andrew stresses the most important ingredient in financial success is living within your means, saving diligently, and riding the market returns with indexed products. Avoid “picking” investments. Don’t miss this essential book for your personal finance collection. You can click on the book to buy it. Written by two distinguished authors, Malkiel and Ellis, their 100 combined years of experience pours through in this short and concise book on investing. In this book, you’ll learn how to invest in index funds through a low-cost provider, rebalance on an annual basis and avoid trading. Instead, you’ll learn to be a long-term (and successful) investor. You can click on the book to buy it. The Investor’s Manifesto – Preparing for Prospertity, Armageddon and Everything in Between by. W. J. Bernstein. Take from advice from a renowned author, financial expert and neurolgist. Bernstein believes most investors do not have all the necessary attributes to manage their own portfolio. Dive into this book for market insights, investing behaviour and a thorough lesson in psychology. An excellent read. You can click on the book to buy it. The Quest for Alpha by L. Swedroe. Among academics, the active-versus-passive debate often centres on mutual funds. But among DIY investors—who readily concede that mutual funds with high fees are unlikely to outperform an index strategy—the discussion usually focuses on stock picking. Many people who shun mutual funds believe that building their own portfolios of individual stocks offers a high likelihood of market-beating returns. Not so says Larry Swedroe. You can click on the book to buy it. The Single Best Investment – Creating Wealth by Dividend Growth by L. Miller. Want to know about dividend-paying stocks? Buy this book. Want to know what dividend-paying stock to buy? Buy this book. 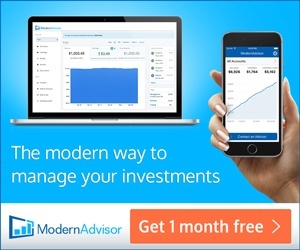 Want to understand how dividend-paying stocks can build passive income for your retirement? Buy this book. You can click on the book to buy it. The Investment Zoo by S. Jarislowsky. An excellent book for the new or experienced investor. Jarislowsky suggests one should essenially remain in stocks. Even in retirement, Jarislowsky reccomends that one should continue to keep 25% in stocks. For great long term returms, he suggests to go for top-quality stocks; basically established companies that have a long history of paying dividends. His book will also tell you which ones to own. You can click on the book to buy it. Stop Working – Here’s How You Can! by D. Foster. This book smashes some common myths and shows the reader exactly how anyone can achieve early retirement following a simple, proven strategy. The book raises provocative questions such as, “If your financial planner has some special investing skill, why isn’t he rich already – and retired?” And “If he can’t create an early retirement for himself, how will he do it for you?” You can click on the book to buy it. The Lazy Investor by D. Foster. Yes, you read that correctly. You can start with $50 and very little investment knowledge and follow a step-by-step plan to gradually accumulate wealth. 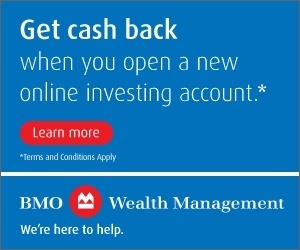 Stop being a victim to some fees many beginner investors pay. Let Derek show you a strategy simple enough for anyone to understand and one that runs on “autopilot” once it’s set up. You can click on the book to buy it. The Little Book of Bull Moves in Bear Markets by P. Schiff. Peter Schiff stands above the pack a little bit, with this book, because he makes it crystal clear he’s predicting a strong bear market for some time to come in the U.S. He might be right. Even though I don’t agree with all of Schiff’s assumptions (or negativity), it’s an enjoyable, thought-provoking, and interesting read. Schiff gives investors great ideas on how to invest their savings over the long-haul, providing a bunch of good, basic economic sense. You can click on the book to buy it. How Not To Move Back In With Your Parents – The Young Person’s Guide to Financial Empowerment by R. Carrick. This is the kind of personal finance book every young Canadian needs. Rob paints a realistic (and sometimes gloomy) picture of what young Canadians face today and tomorrow; the time-warp that precedes university, during university and the years afterwards. Check out this latest from highly respected Globe and Mail columnist and expert on personal finance. You can click on the book to buy it. More Money for Beer and Textbooks – A Financial Guide for Today’s Canadian Student by K. Prevost and J. Bouchard. This is an entertaining and well-written manual that gives Canadian students some realistic, honest ways to keep more cash in their pockets as they plan their way towards or work their way through post-secondary education. You can click on the book to buy it. The Behavior Gap by C. Richards. A great read looking at the psychology of money and how to curb the bad decisions we make about it. You can click on the book to buy it. 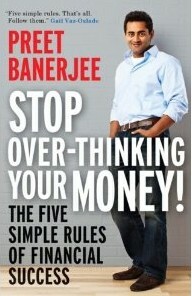 Stop Over-Thinking Your Money by P. Banerjee. Personal finance is personal, yes, but there are some universal truths that apply to all of us. Preet’s five rules for financial success are straight-forward and probably familiar to most of us (i.e., spend less than you earn) but this book goes beyond “the whats” and coaches you on “the hows” to put these rules into personal action. You can click on the book to buy it. Wealthing Like Rabbits by R. Brown. Who knew a personal finance book would include references to rabbits, zombies, the losing record of the Toronto Maple Leafs and Super Mario Brothers? This is exactly what Wealthing Like Rabbits contains, an original new introductory personal finance book written by Robert Brown. You can click on the book to buy it. Your Money or Your Life by V. Robin. Are you optimizing your money for your life energy? Your Money or Your Life will help you create your financial roadmap. It will show you how to move from financially independent thinking, financial intelligence, financial integrity to financial independence – the by-product of having an income stream sufficient for your basic needs and comforts beyond a source of paid employment. You can click on the book to buy it. 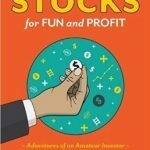 Stocks for FUN and PROFIT by H. VanGenderen. Each chapter of this book, written by amateur investor Herman VanGenderen, takes the reader through Herman’s ups and downs with investing over the last four years (since June 2014) – highlighting how he has invested (and his opportunities missed) using three investing accounts: TFSA, RRSP and a non-registered account. This book helps helps demystify the market and educate Canadian investors through Herman’s own personal journey. You can click on the book to buy it. Cashflow Cookbook by G. Stein. I took my own Cashflow Cookbook assessment here. You can click on the book to buy it.